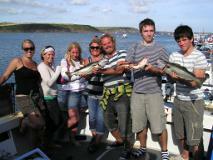 Fishing charters are available throughout the year and may depart from Milford Haven or Dale depending on the tides. 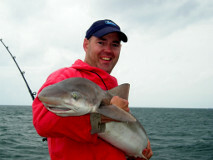 We offer charters fishing over various grounds from sand, through mud and shingle to extensive reefs. From April to October trips typically include drifting over reefs around Skomer and Skokholm Islands and anchoring/drifting over sand on the Turbot Bank or Knoll. If the weather dictates then there are sheltered marks within St Brides Bay or off Stackpole and St Govans Head. Targeted species are pollack, cod, bass, coley, wrasse, ray, dabs, plaice, turbot, huss, tope and smooth hound. 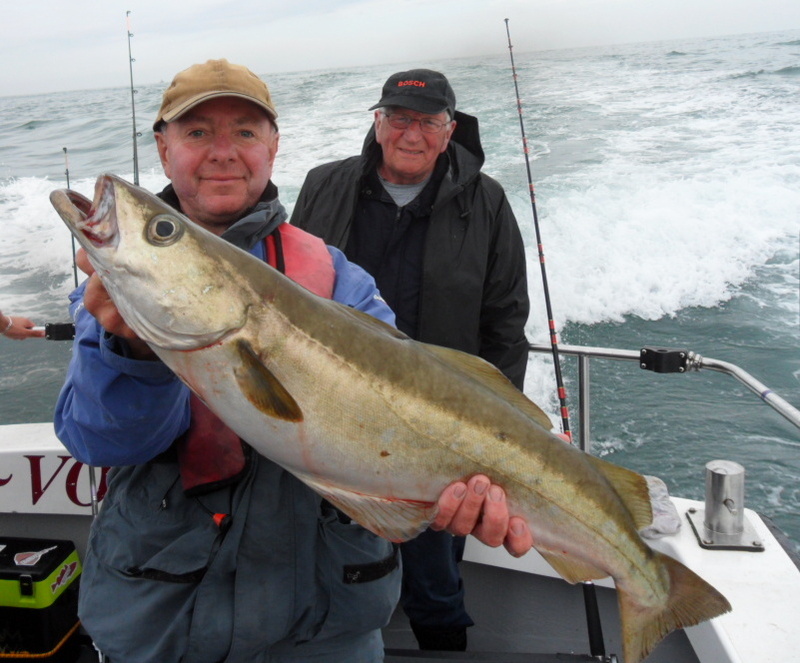 Bass charters are available June to October on spring tides. Prices £380 for an 8-9 hour general charter. Bass trips £450 for 10hrs. During this time of year we are generally confined to Milford Haven waterway and off Freshwater West. We commonly target codling, whiting, ray and conger but also see pollack, bass, wrasse and smooth hound. Whiting catches have been particularly good this season. Prices start at £270 for an 8 hour charter. Offshore trips involve drifting over reefs out to the west, some 12 to 18 miles from St Anns Head, to Grassholm, The Hats & Barrels and The Smalls or heading North to the Bishops and Clerks, an area not frequented by many vessels. Predominately we fish for codling, pollack and coley but we are likely to also see pouting, wrasse and the odd ling. It’s also possible to anchor up around slack water for huss and conger on the Barrels. Best time June to October. There are normally very good catches to be had. Spring tides have to be avoided. 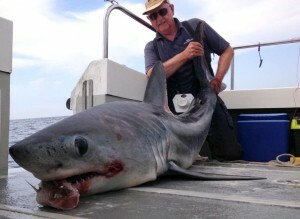 Price £450 for a 10 hour charter.